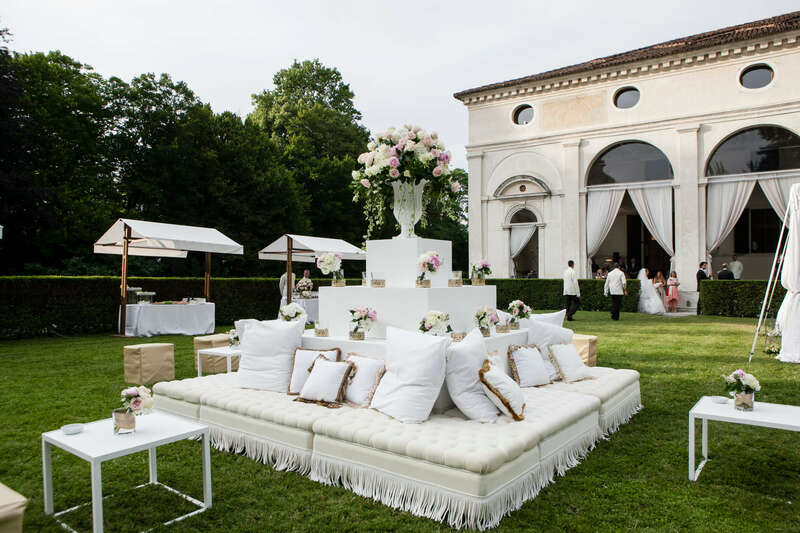 The fans of Brenta Riviera have as first wonderful reference VILLA FOSCARINI ROSSI, the first villa of the Riviera leaving from Padua. 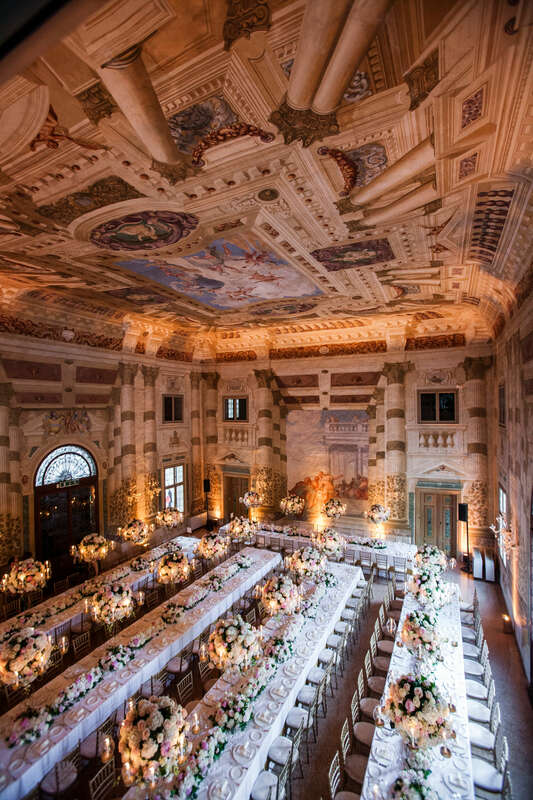 Villa Foscarini Rossi is an architectural building, that date back to XVI century and includes the Manor house, the Foresteria with the Portico, the famous frescoed Salon, the Cellar, the Loft, a well-cared Park and the Shoe Museum. 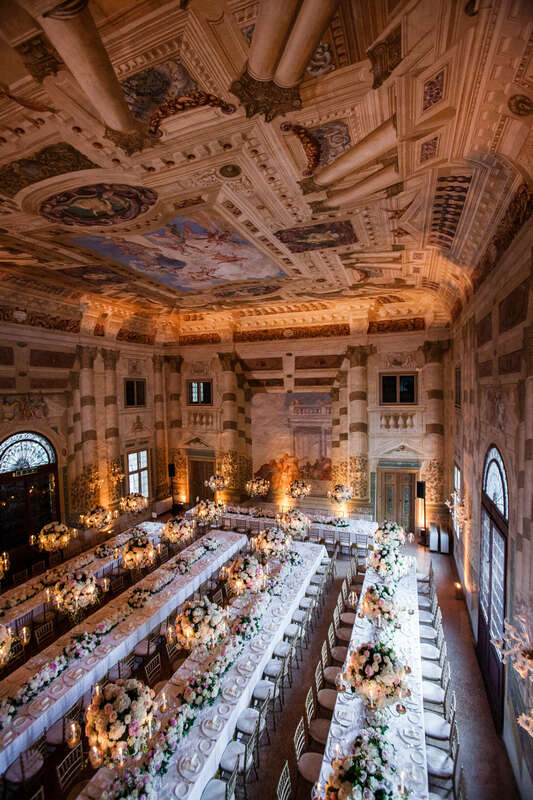 Villa Foscarini Rossi is an elegant venue, ideal for each sort of event and we suggest it as a refined ambient, where your guests will enjoy the magnificent Salon, completed frescoed 1652 by Domenico de Bruni. Inside the Salon we usually serve the sitting banquet, so your guests will delight viewing the pictures, while they are tasting our delicious menus. We should come back in the timing of the wedding day. 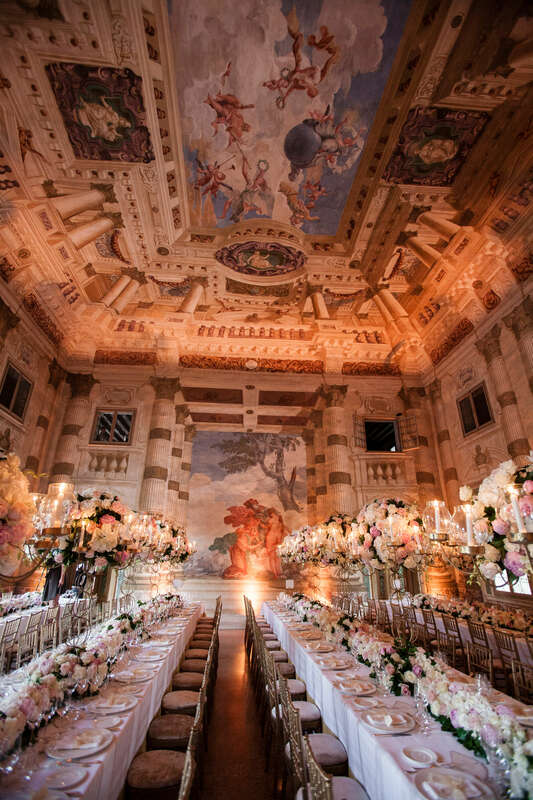 The spouses can arrive by ship, from Venice or from Padua, cruising along the Brenta river and enter in this marvel of Venetian art. 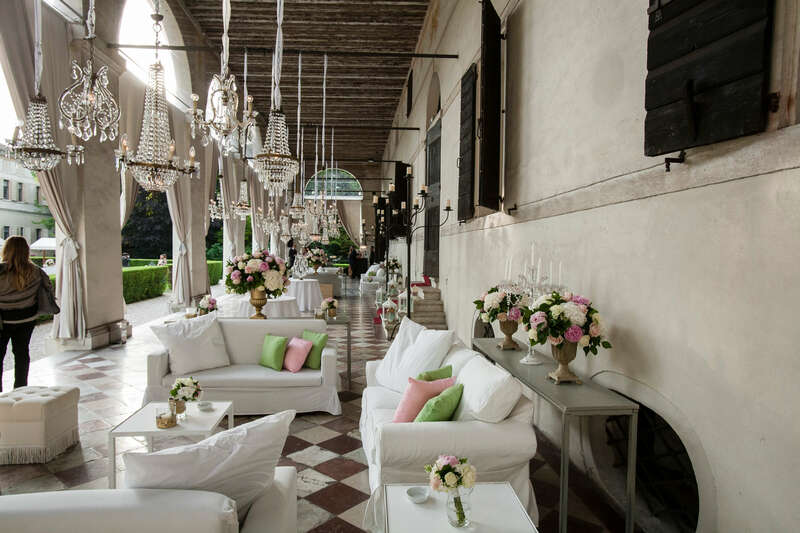 We can organize a symbolic ceremony in the garden of Villa Foscarini Rossi, followed by an aperitif under the Portico, always admiring the nice garden, waiting to enter in the famous Salon. 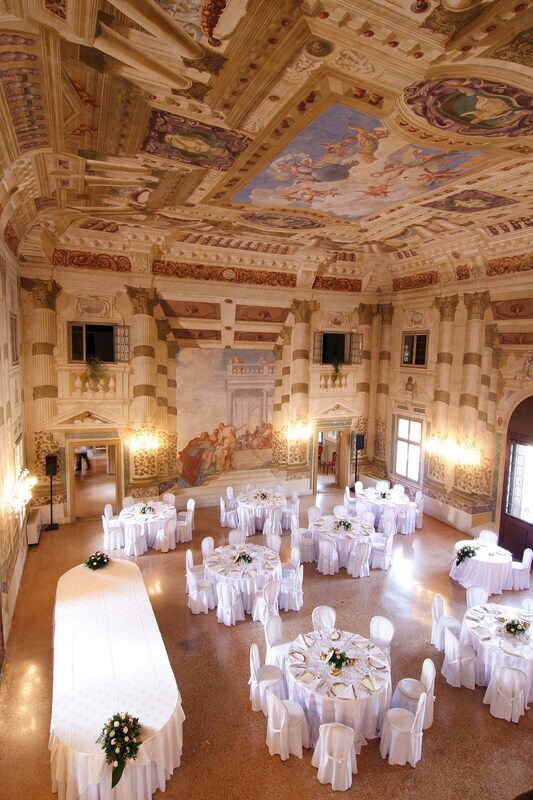 Villa Foscarini Rossi is a venue from a lot of facets, because you will find the better space for your wedding. 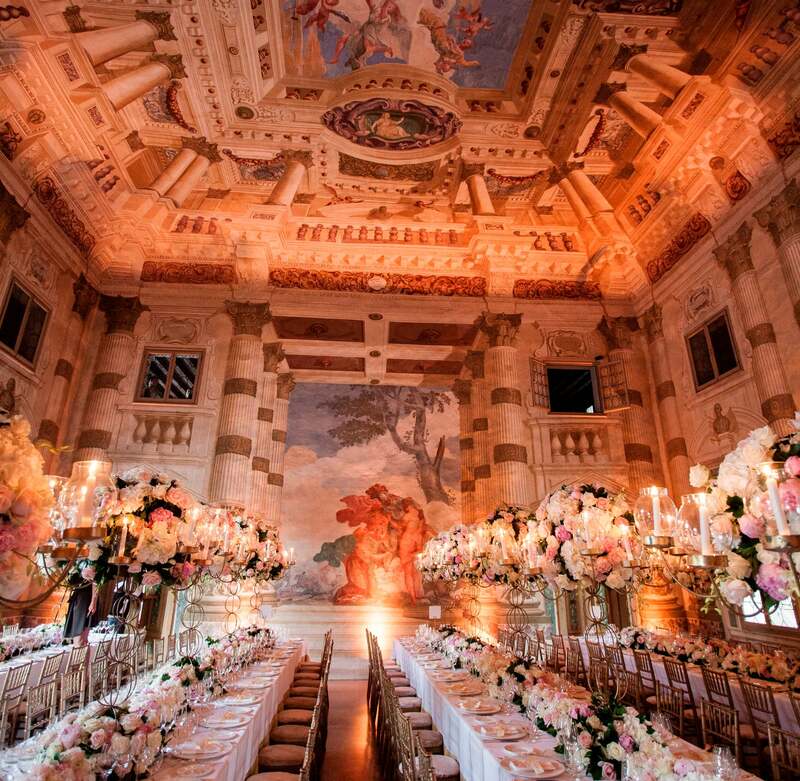 Whether you desire a classic romantic wedding or a wedding followed by an animated party. Last but not least. If you would offer a diverse, that all ladies will appreciate a lot, we can organize a visit in the adjacent Shoe Museum, where you will find the most original and nice shoes, that the firm produced in seventy years of activity. More than our words please give a look to these pictures. 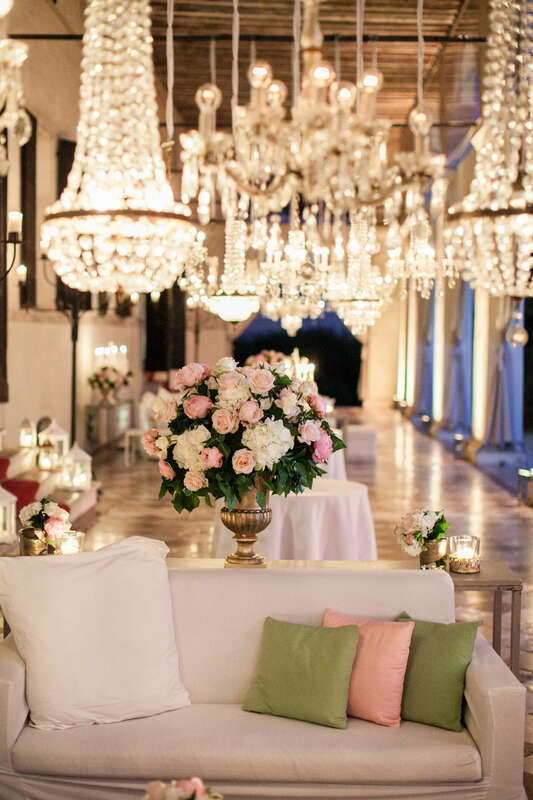 We can assure you that in this venue your wedding will remain in the memories of everybody as the wedding of the dreams. Please ask us for information and we will be happy to answer you.